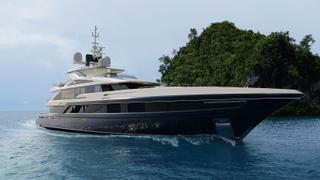 Construction on Turquoise Yachts' motor yacht Tala is well underway. The hull and superstructure of the 53 metre motor yacht have been completed while interior work is now in progress at the builder's Turkey-based yard. 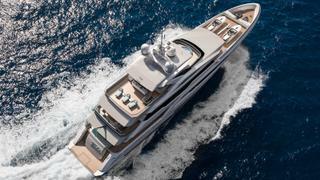 Scheduled for a 2020 delivery, the three-deck yacht was designed inside and out by Miami-based studio DeBasto Designs. The yard is still open to exploring customising options for the yacht, which is currently for sale. The yacht packs an "extraordinary" 720 gross tonne volume into her length, according to the Turkish shipyard, with an owner's suite and VIP forward on the main deck and four further guest suites on the lower deck. Turquoise says the interior design is "sophisticated but practical as well as elegant and comfortable". Large windows promise a light, bright feeling inside with semi-precious woods and materials providing contrast. A beach club, complete with sauna, gym and dive store, opens on to the big swim platform, which features a lowering section to give easy access to the water. At the top of Tala, the sun deck is set up for all-weather use with a considerable hardtop covering a bar and BBQ, forward of which is the spa pool. The captain is quartered behind the wheelhouse, with the rest of the crew on the lower deck in five double cabins and one single. Turquoise says crew circulation throughout has been kept completely separate from guest areas. Powered by twin Caterpillar C32 1,300hp engines, Tala is expected to reach a top speed of around 15 knots. Started on spec, the yacht is now for sale. Broker Cristian Schwarzwälder said project Tala is set to raise the profile of the yard. "The 53m will certainly push the level of recognition to a new height due to her unique six cabin layout and beach club concept," he said.